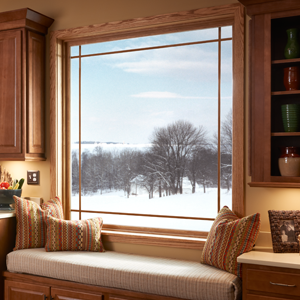 Picture windows are a beautiful way to bring natural light into a room or to highlight a lovely outdoor view. And now, it can also be a source of fresh air. Vinyl Picture Windows by Simonton featuring a classic frame design and a vast selection of styles, the Reflections 5500 series represents the upmost in energy efficiency and long-lasting beauty. Available with the most popular designer options and high performance glass packages, you can customize 5500 windows and doors for your home and lifestyle. Picture windows are large, expansive windows that allow a large amount of light into a room. These windows are often centerpieces of the room, which is why they are often found in living rooms and other settings where people gather. Call Jeff today for more information on Window Styles 770-318-8514.